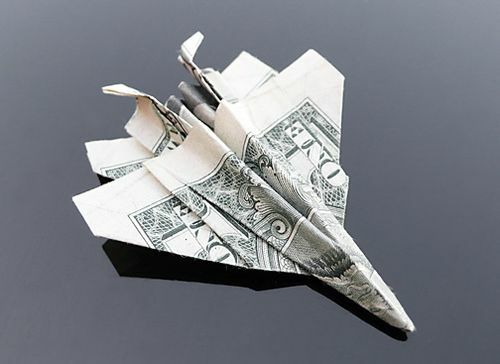 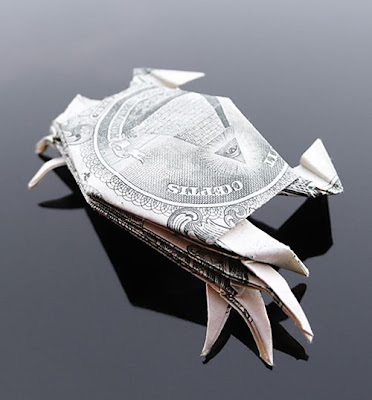 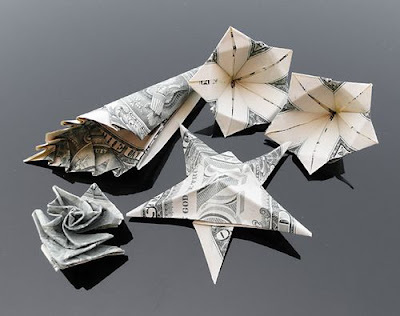 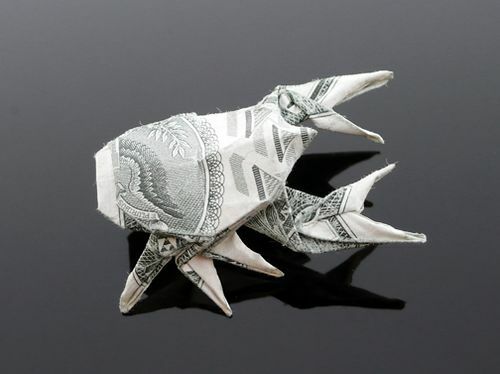 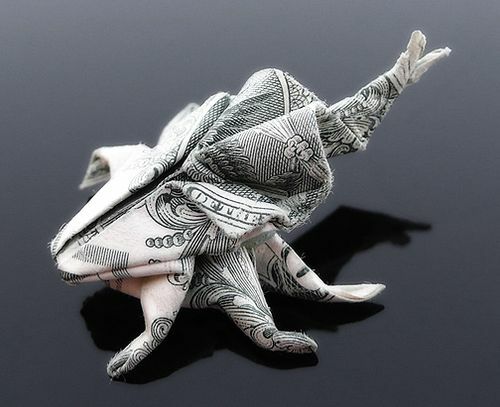 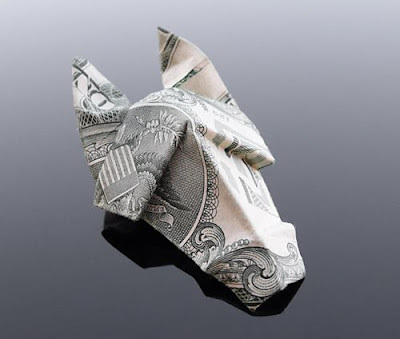 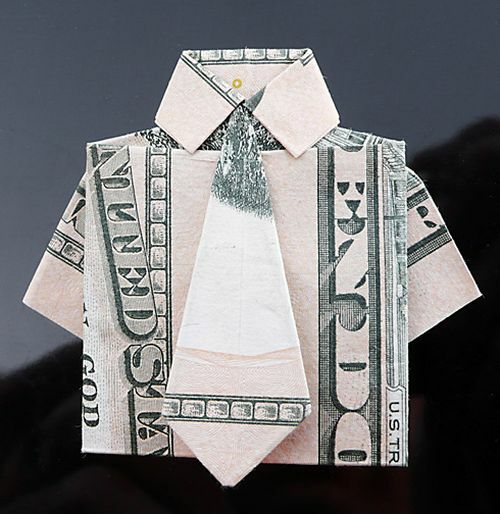 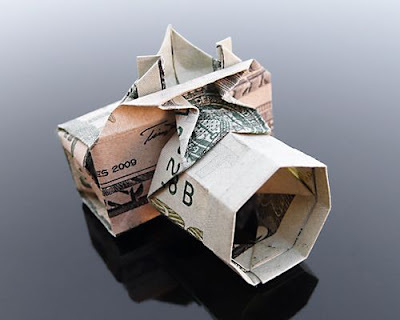 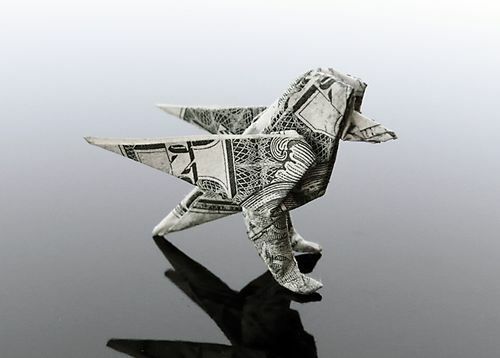 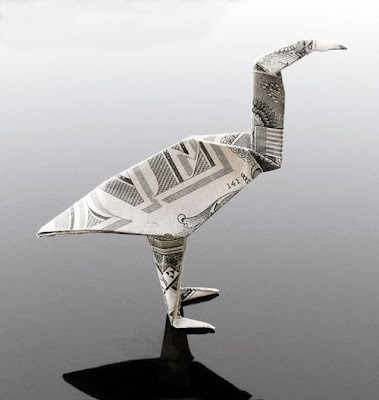 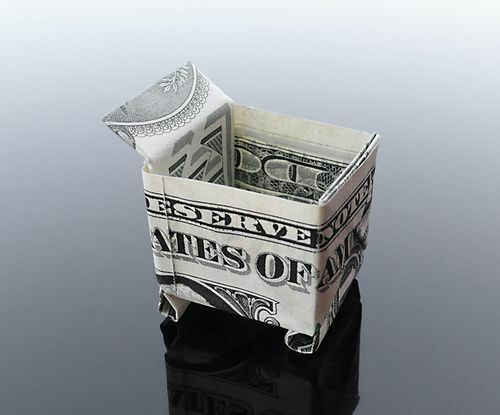 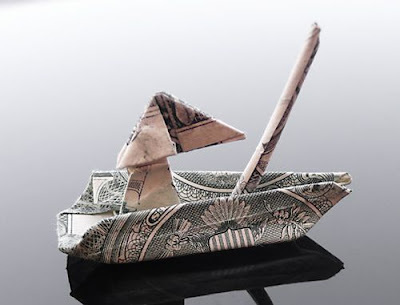 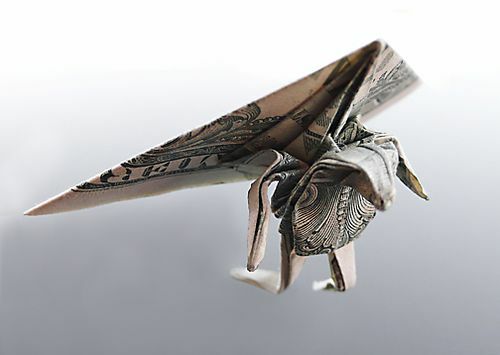 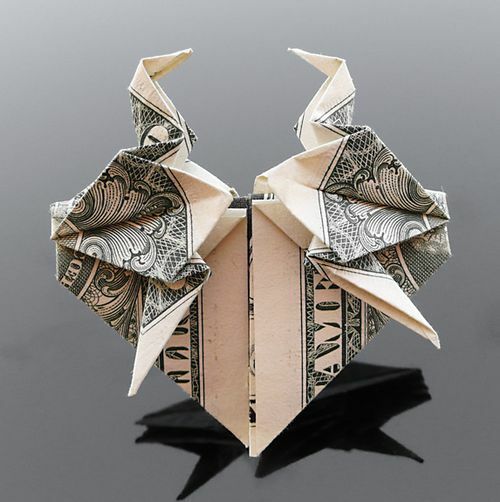 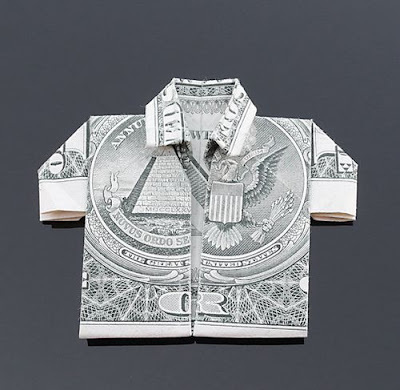 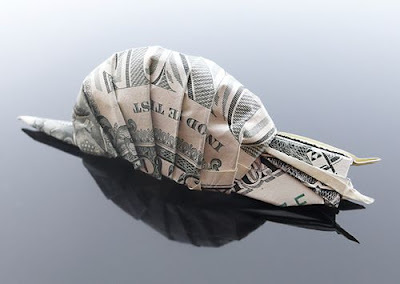 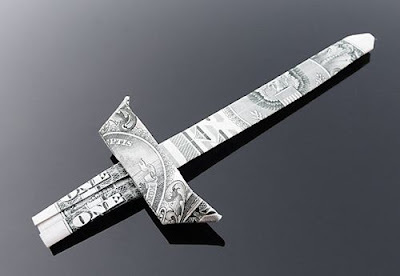 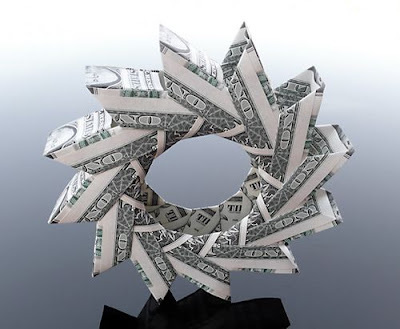 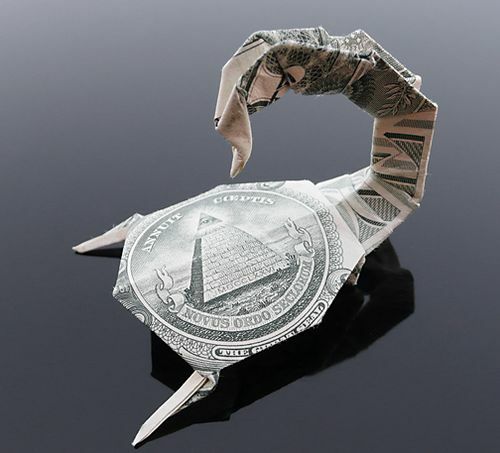 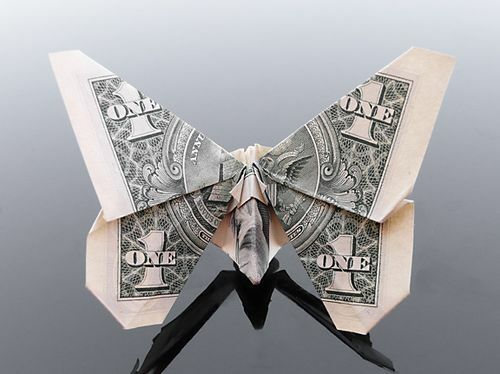 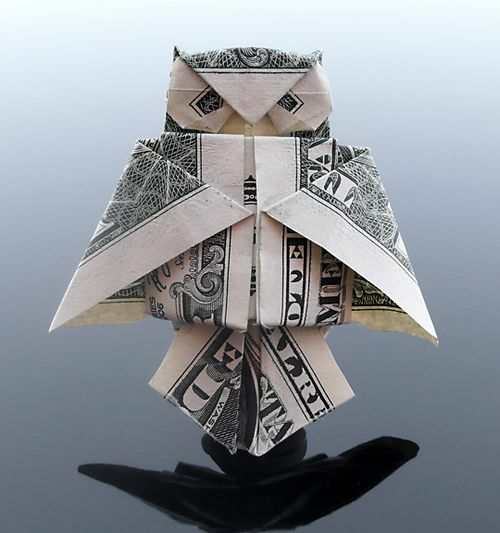 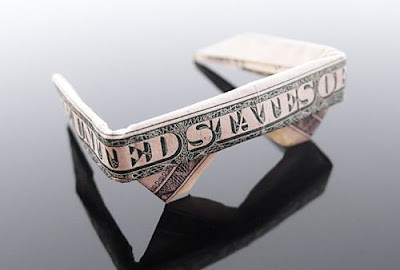 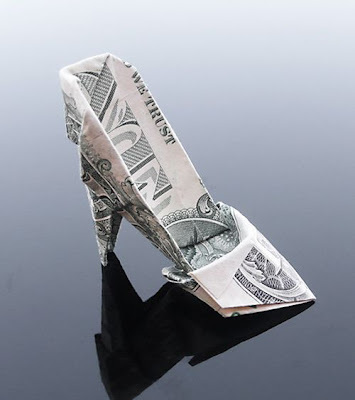 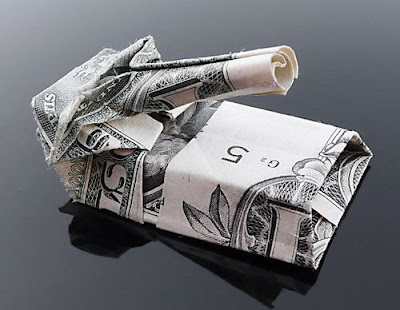 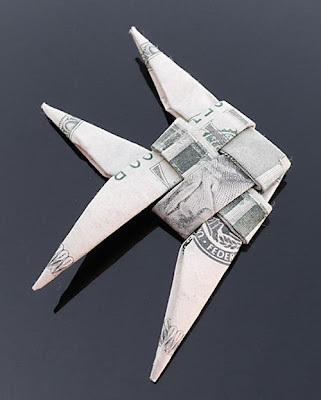 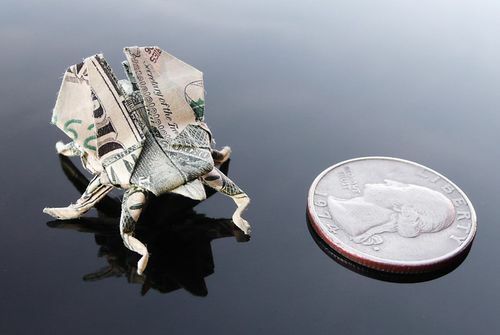 Craig Sonnenfeld creates amazing origami art by folding real dollar bills. 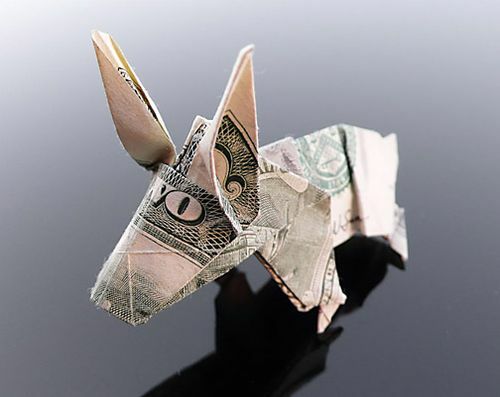 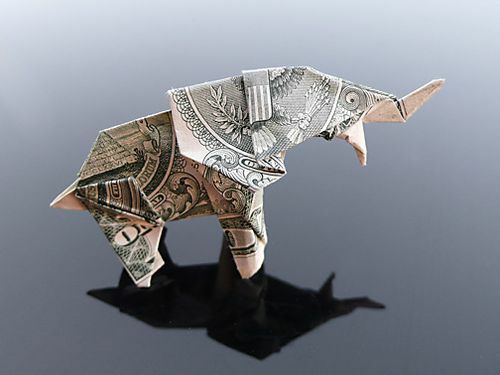 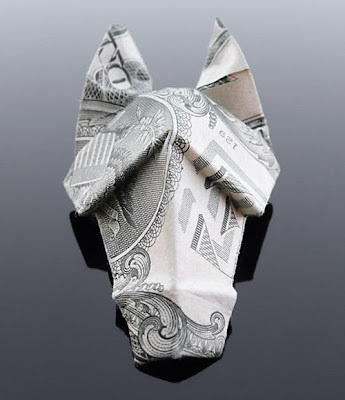 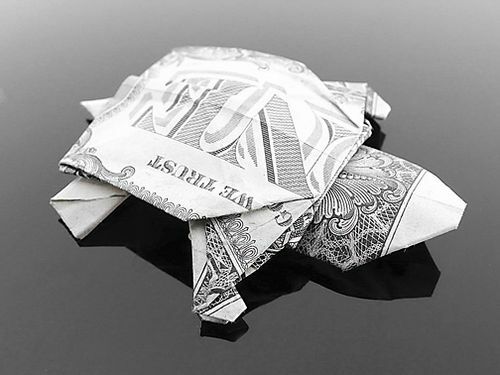 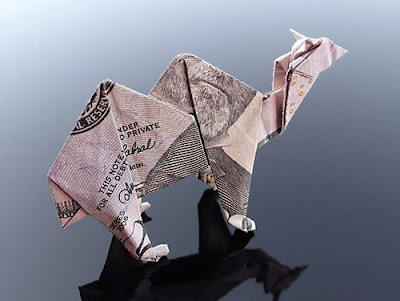 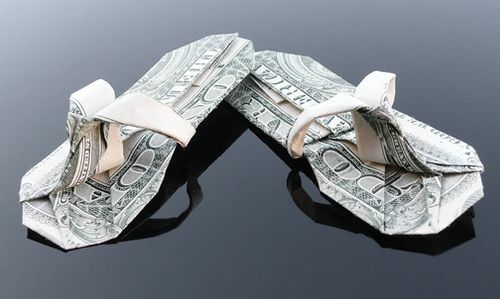 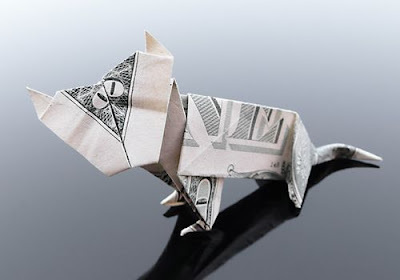 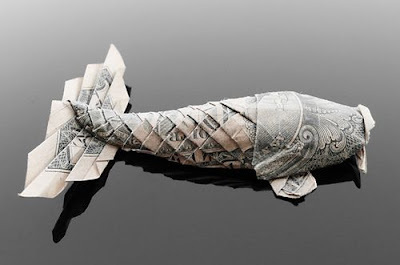 The artist carefully folds money to resemble familiar objects and animals. 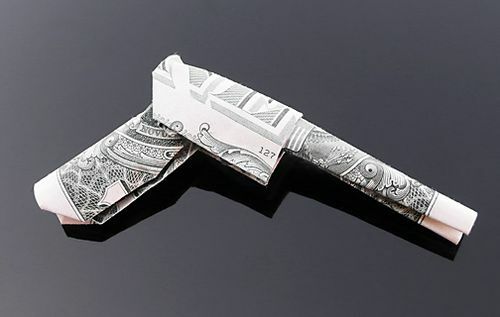 It takes an hour or two for him to produce this masterwork. Most of the pieces are made from only one bill with no cutting or glue or anything.